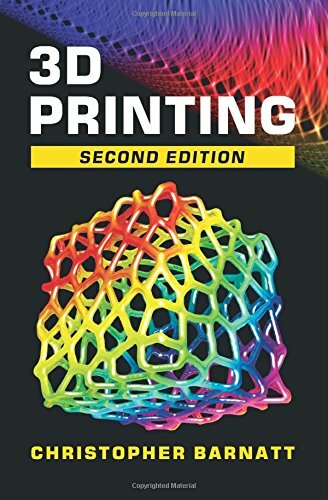 3D Printing: Second Edition is a major update of the highly popular 3D Printing: The Next Industrial Revolution. The book provides an extensive overview of all 3D printing technologies, together with a detailed analysis of the 3D printing industry, and broader predictions for future digital manufacturing. Already it is possible to 3D print in hundreds of different plastic, metal and ceramic materials, with pioneers now 3D printing molds, aerospace components, jewelry, works of art, toys and medical devices.While traditionally 3D printing has been used for rapid prototyping, by 2020 most things that are 3D printed will be industrial tooling or final products. Already more than half a million 3D printable files are listed on object sharing websites, with desktop 3D printers that can fabricate them priced from $500. Meanwhile doctors are learning how to bioprint replacement human organs. 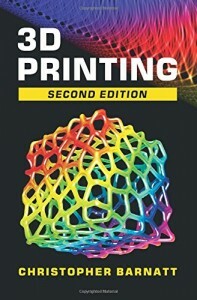 3D Printing: Second Edition is written by Christopher Barnatt of ExplainingTheFuture.com. The book features over one hundred interviews, examples and illustrations, and is a valuable resource for all enthusiasts, entrepreneurs, designers, investors and students who want to remain up-to-date with the Next Industrial Revolution. 1: The Next Revolution — explaining why 3D printing matters and its four key marketplaces. 2. 3D Printing Technologies — detailing every technology on the market or in the lab. 3: The 3D Printing Industry — a global overview of leading manufacturers, software providers and bureau services. 4: Direct Digital Manufacturing — reporting on pioneers who are already 3D printing consumer products, industrial components and medical devices. 5: Personal Fabrication — an overview of personal 3D printers, 3D scanners and the Maker Movement. 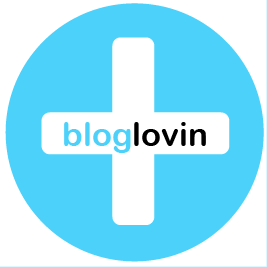 6: Bioprinting — how research teams are working to 3D print replacement human body parts. 7. 3D Printing in Context — how 3D printing, synthetic biology and nanotech will converge to enable local digital manufacturing. 8: Brave New World? — separating probable fact from science fiction to predict the real 3D printing future. Glossary — 133 key terms and technologies precisely defined. 3D Printing Directory — a comprehensive listing of industrial and personal 3D printer manufacturers, software packages, bureau services and online object repositories.